It’s one of Dubai’s most famous icons, but just how much star power does the Burj Al Arab actually have? When visitors come to Dubai for the first time, most of them want to see two things: the Burj Khalifa, and “that seven-star hotel”. They are talking, of course, about the Burj Al Arab, the sail-shaped structure that sits on its own man-made island off Jumeirah Beach. The hotel that is so fancy it doesn’t have “rooms” – it has “suites”. The hotel that is so exclusive it has its own helipad. The hotel that is so attentive to guests’ needs that it has a 24-hour butler service and a staff-to-suite ratio of 8:1. Basically, this is a hotel that is so luxurious it was somehow deemed beyond the regular five-star rating system for hotels. But how did it earn such a lofty designation? And why stop at seven? This is the city of superlatives, after all. Well, it turns out the Burj Al Arab has never officially been certified as a “seven-star hotel”. In fact, the whole thing is a myth that got a bit out of hand. As the story goes, when the hotel opened back in 1999, a British travel writer who was invited to stay there was so in awe of the place that she described it in her article as a “seven-star hotel”. Over the past two decades, the glittering description has stuck. A media spokesperson from Jumeirah Group confirmed this story, but said they no longer have a copy of the article in question. They also said they prefer not to comment on the whole “seven-star” thing. Still, it’s a myth the hotel chain has quietly embraced. In promotional materials, Jumeirah refers to the Burj Al Arab as “the most luxurious hotel in the world”. And in this section of their website, they say it’s the “world’s only hotel which offers seven-star service”. Naturally, it didn’t take long for other hotels to get stars in their eyes. After the Burj Al Arab, seven-star properties started popping up all over the world. The Seven Stars Galleria in Milan even hired a certification company to create a seven-star ranking so they could be the first hotel in Europe to snag the title. That’s the problem – there is no official international rating system for hotels. Classifications differ from country to country. So while you might be staying in a “five-star hotel” in one place, in another, that same hotel might only be worthy of three stars. In Dubai, the Department of Tourism and Commerce Marketing is in charge. Their rating system only goes up to five stars. So by Dubai’s own standards, the Burj Al Arab is a five-star hotel. This year, the Forbes Travel Guide – one of the world’s top rating guides for luxury hotels – also named the Burj Al Arab as a five-star hotel. 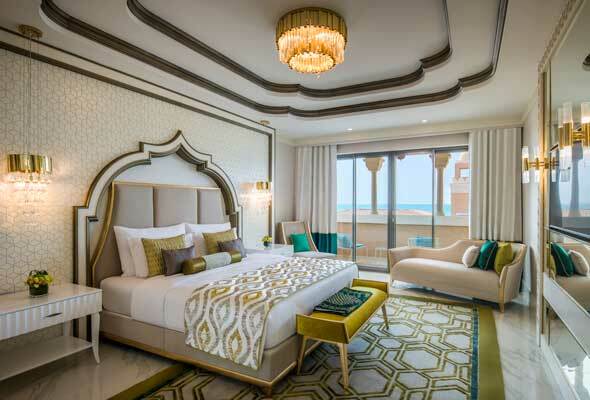 It might be missing the two extra stars, but it’s still a big deal – it was one of just four hotels in the Middle East to be awarded five stars by the publisher. 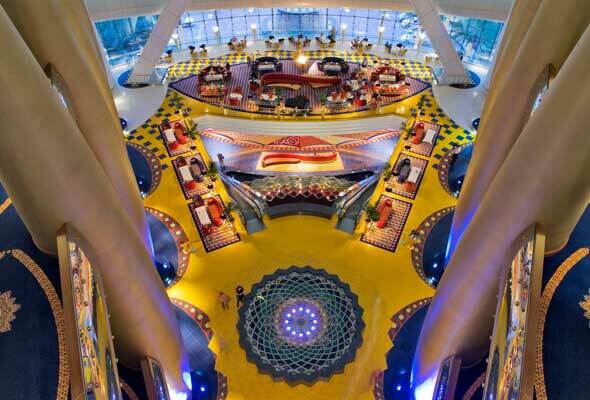 So no, the Burj Al Arab is not a seven-star hotel. In fact, there is no such thing as a seven-star hotel. But our beloved icon has a seven-star reputation – and arguably, that’s the most important thing.